Let us care for you and your family. Dr. Chamira Ranatunga is a General Practitioner at The Doctors Werribee. Originally from Sri Lanka, Dr Chamira has lived in Pakistan and New Zealand before coming to Australia. Conductive to the environment he studied in, Dr Chamira is a fluent speaker of English, Sinhalese, Hindi and Urdu. He moved from Griffith, NSW to Melbourne in the beginning of 2017. Dr Chamira completed his High School education at Royal College in Colombo, Sri Lanka. Once he decided on his career, Dr Chamira followed the course on Health Sciences at the University of Otago, New Zealand. He completed his Bachelors in Medicine and Surgery from the National University of Science and Technology, Pakistan. Dr Chamira moved to New Zealand after completing his degree and worked as a Junior Medical Officer in New Zealand in the areas of Gastrointestinal Surgery, General Surgery, Urology and Older People Health Medicine including Rehabilitation Medicine at Auckland Hospital. He then moved on to being a Senior House Officer at Manukau Super Clinic working with the Ear, Nose and Throat Surgery team. 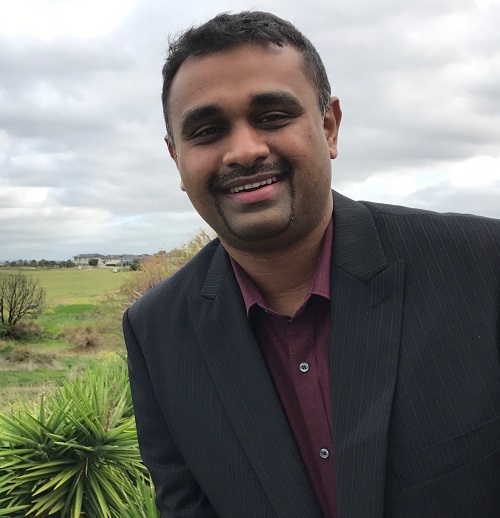 At the Middlemore Hospital, Manukau, Dr Chamira completed General Medicine including Emergency Medicine and Hand and Orthopaedic Surgery. After that, he entered a Registrar training position in General Practice where he worked in Otara Union Health Centre and Mangere Family Doctors in New Zealand. Dr Chamira have since completed his Fellowship training in General Practice in New Zealand (FRNZGP) and Australia (FRACGP). He is an Advanced Trainee at the Royal New Zealand College of Urgent Care Physicians (MRNZCUC). Dr Chamira developed a special interest in Skin Cancer Surgery and Dermoscopy while working as a General Practitioner in New Zealand. He has completed an Advanced Certificate in Management of Skin Cancer Medicine and Surgery through the College of Skin Cancer Medicine and Surgery Australia and New Zealand (DSCCANZ) and is currently an Accredited Skin Cancer doctor in Werribee. Dr Chamira worked in Griffith, NSW as a Rural General Practitioner for 3 years and is currently a General Practice Supervisor for the General Practitioner Trainee Registrars at the University of Wollongong. He is also a Mentor for the students who attain the Scholarship at the University of New South Wales (UNSW). Dr Chamira and his wife live locally with their your daughter who keeps them on their toes. He enjoy collecting antiques and cars that are not from this century. To request a booking for an after hours doctor home visit, call 13SICK (that's 13 7425).